Proprietary Name: Gojo E2 Foam Handwash With Bak What is the Proprietary Name? 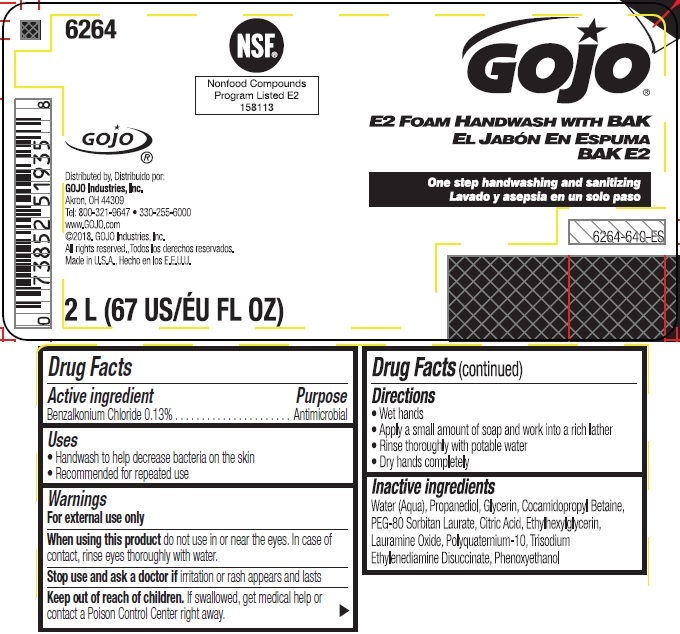 Gojo E2 Foam Handwash With Bak with NDC 21749-112 is a a human over the counter drug product labeled by Gojo Industries, Inc.. The generic name of Gojo E2 Foam Handwash With Bak is benzalkonium chloride. The product's dosage form is liquid and is administered via topical form.